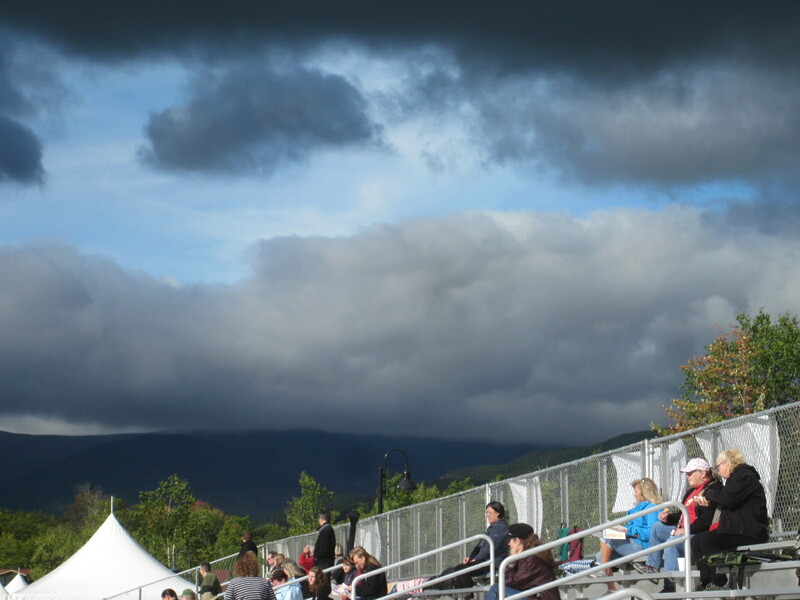 I recently attended two very different Scottish Highland Games – one in New Hampshire and the other in Georgia. 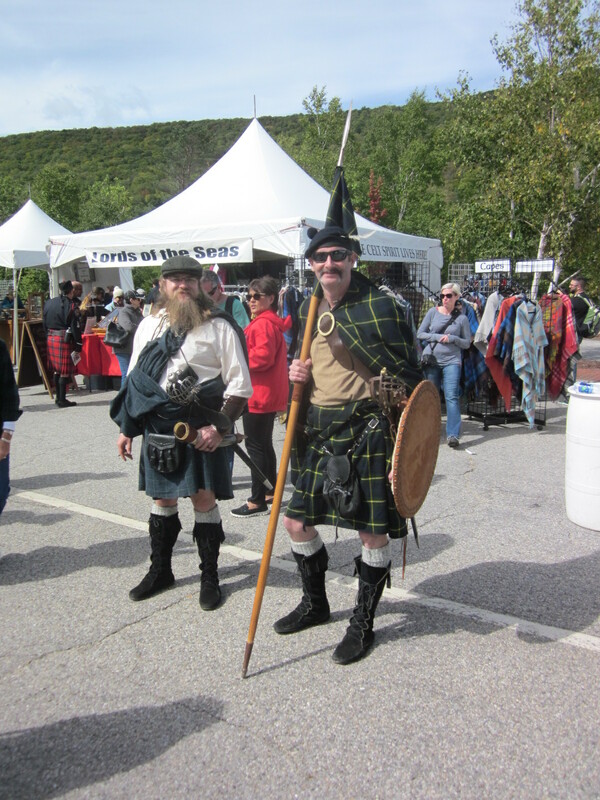 Both these USA-based gatherings had one thing in common…kilts in a wide variety of Tartans. A Tartan is a plaid of certain colors that pertain to a clan or family that have traced their roots to Scotland. Many ‘Ancient’ tartans, or plaids, have muted colors. Before weaving, the original homemakers of the early centuries dyed the wool strands by using bugs, berries, grasses, and the like. Today’s tartans are more brilliant and though most are still woven of wool with a multitude of pleats at the back, others are made in solid colors of waterproof duck or soft cotton blends. Many of these have wider and fewer pleats and even add-on pockets. Some choose a military branch’s specific pattern. Whatever a person chooses to wear, these men, women, marching band members and even performing musicians wear their plaids with pride. 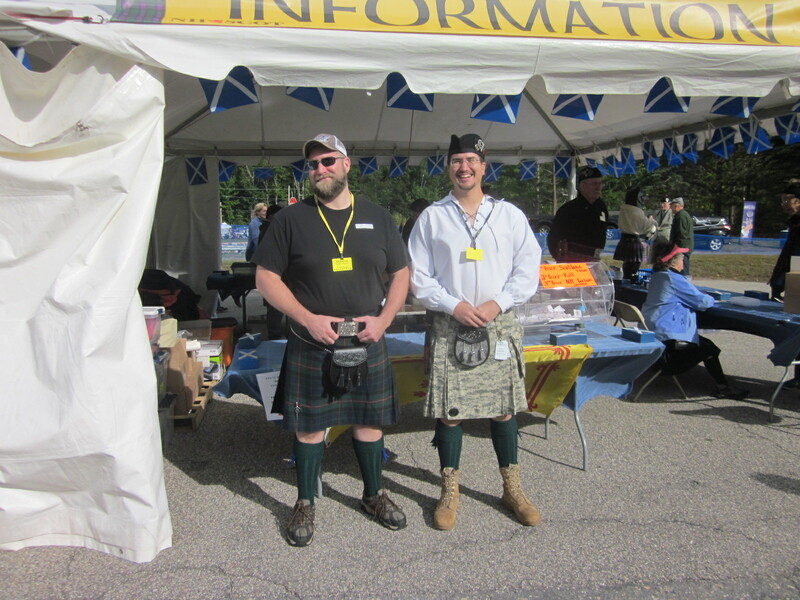 Here is a link to a video of one of favorite groups, Albannach, who played at the September 2018 NH Highland Games https://youtu.be/uENuWEoFwOk Listening to them was a pleasure! Other sites, including the kilted athletes, were not to be missed. I am glad we were able to attend both and I gained quite a few plot ideas for future books! Thanks for all the information on these clan gatherings. The pictures you posted clearly showed the different types of kilts that are worn today. Very interesting.